An apple a day will keep the doctor away, so eat up! Muffins are a great on-the-go breakfast for rushed mornings. Try this slimmed down version and stay satisfied until lunchtime since it’s loaded with heart healthy grains. Finish it off with optional nutty streusel for a sweet crunch. Typically we think of October as the height of apple season, so I was surprised to learn that some apple varieties aren't available until much later. For example, Pinata applesare harvested in mid-October, but because the flavors intensify in cold storage, they're not actually packed and shipped to stores until late January. Pinata apples adapt well to cooking temperatures, so I decided to incorporate them into a healthy apple oat bran muffin... It is American Heart Awareness Month after all. 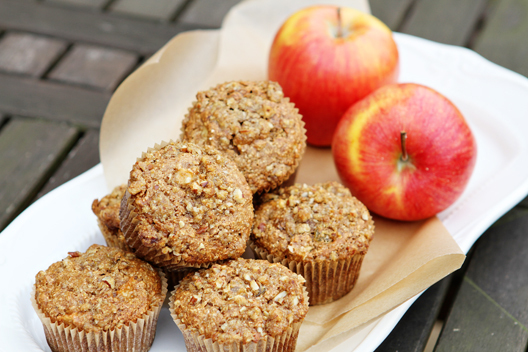 Packed with heart healthy grains and golden raisins and diced Pinata apple chunks, you almost won't believe that these muffins are good for you! Head to Unsophisticook for this delicious recipe! 2. 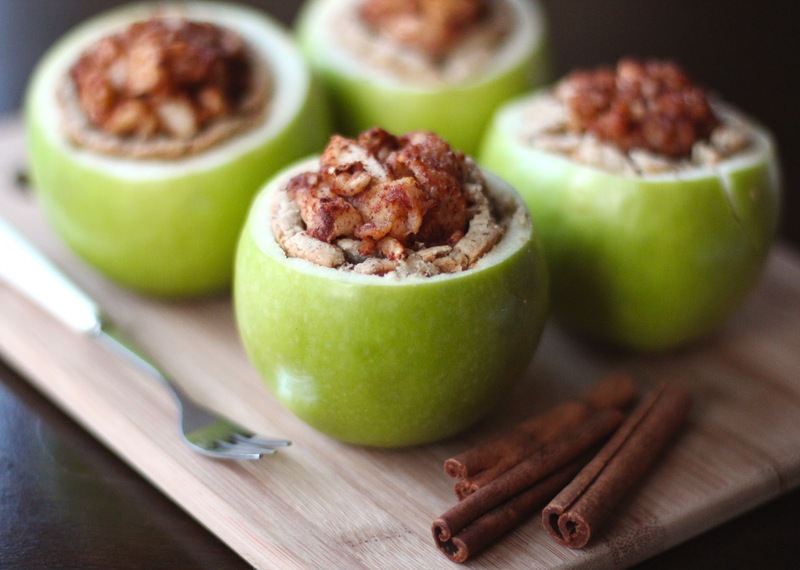 Healthy Apple Pie… in an Apple! Not only are these sweet treats perfectly portioned, they’re also significantly healthier than the average pie pastry. With no butter, processed flour or white sugar, this recipe is certified vegan and gluten-free. I am so glad I finally made these individual apple pies. They are perfect for small families where an entire pie is simply too much. This recipe is the answer to those in need of some portion control. This recipe is incredibly unique and a definite show-stopper. 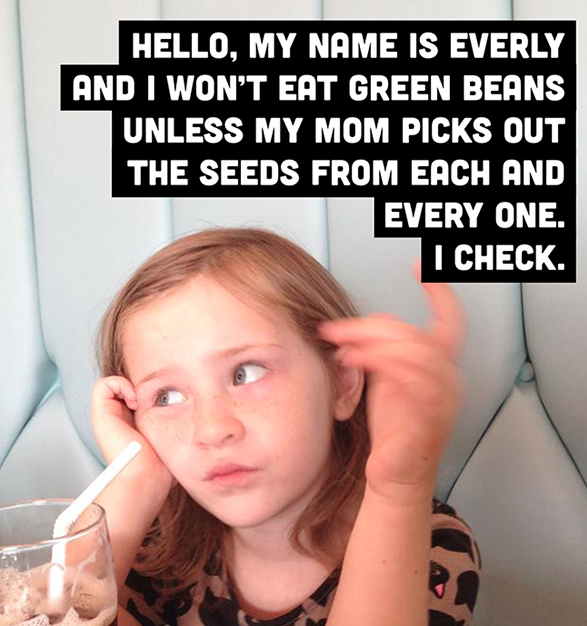 This recipe is 100% guilt-free, I mean, just look at the ingredient list! Head to Desserts with Benfits for this yummy recipe! 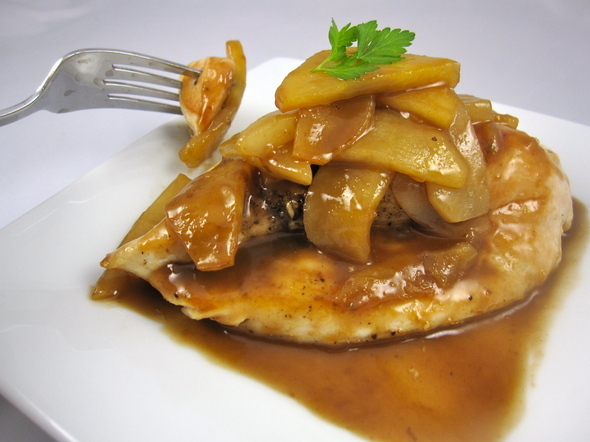 Glazed Chicken Breasts with Apples and Pears - a dish that captures the taste of the fall! Here's a favorite dish I love to make through the fall. It combines the taste of pears and apples in a savory apple-cider bath; flavors that capture a crisp late September wind. Boneless pork chops would be a fine substitute for the chicken breasts; mashed sweet potatoes would be the perfect side dish. HEad over to The Ann Arbor News for this delicious recipe! It’s fall. There are apples. There are pumpkins. There are colorful leaves. So therefore, there are apple cider donuts. But instead of having one of those unhealthy fat and sugar filled Apple Cider Donuts (which will most likely leave you with a bit of guilt afterwards), you should make your own. Thay way, you can eat three and still feel pretty good about it. Let me explain. 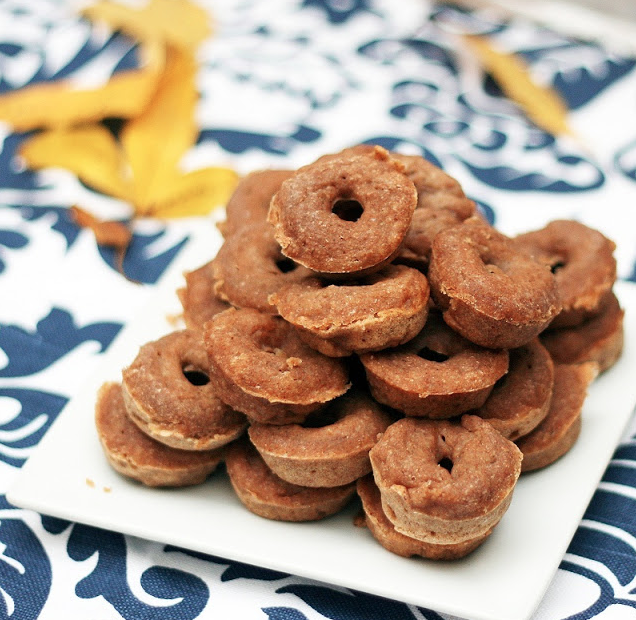 These Mini Apple Cider Donuts are much healthier than the kind you find while apple picking (or anywhere else for that matter), and yet, they taste just as good. You really won’t be able to tell that what you’re eating is a heathful snack. About 2 donuts will have roughly 100 calories and 2.2 grams fat. I’m not sure how that compares to other donuts, but to me, it sound pretty darn good! Head to The Smart Cookie for this recipe! When bringing home an apple haul like that I usually make apple sauce right away. But this time I opted for something a little more portable–apple chips. My take is simple, with no sugar, just salt and a little (or a lot) of cinnamon. These have been great for school lunches and playground snacks. Or for munching uncontrollably while standing in the kitchen. 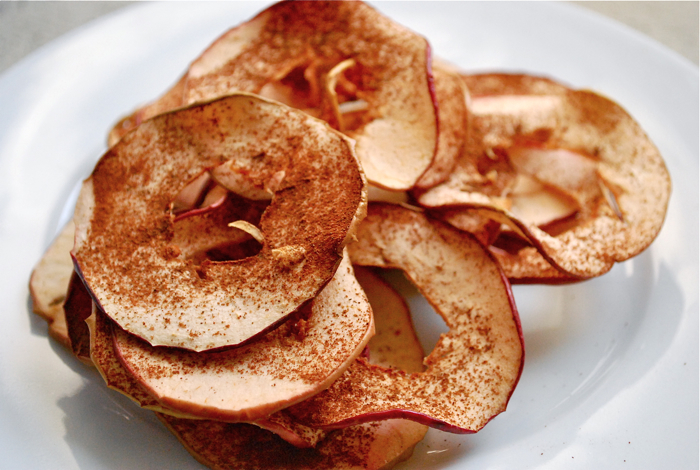 These apple chips are so easy to make and a very satisfying snack. Head to the Brooklyn Supper for this recipe! 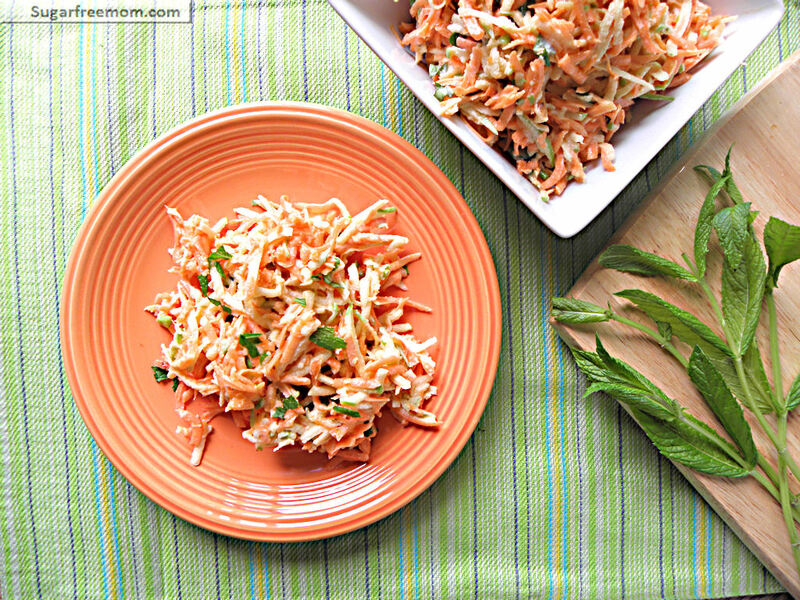 Carrot Apple Mint Slaw with Yogurt Honey Dressing, yum! A perfect side dish, low calorie, grated with a light dressing that is not dorwning in Mayo. Looking for an easy, HEALTHY, make ahead side dish? I am in LOVE with this recipe! The flavors are outstanding and just get better as they have time to mingle in the fridge together. I can’t take any credit for envisioning this deliciousness! Head over to Sugar Free Mom for this great recipe! 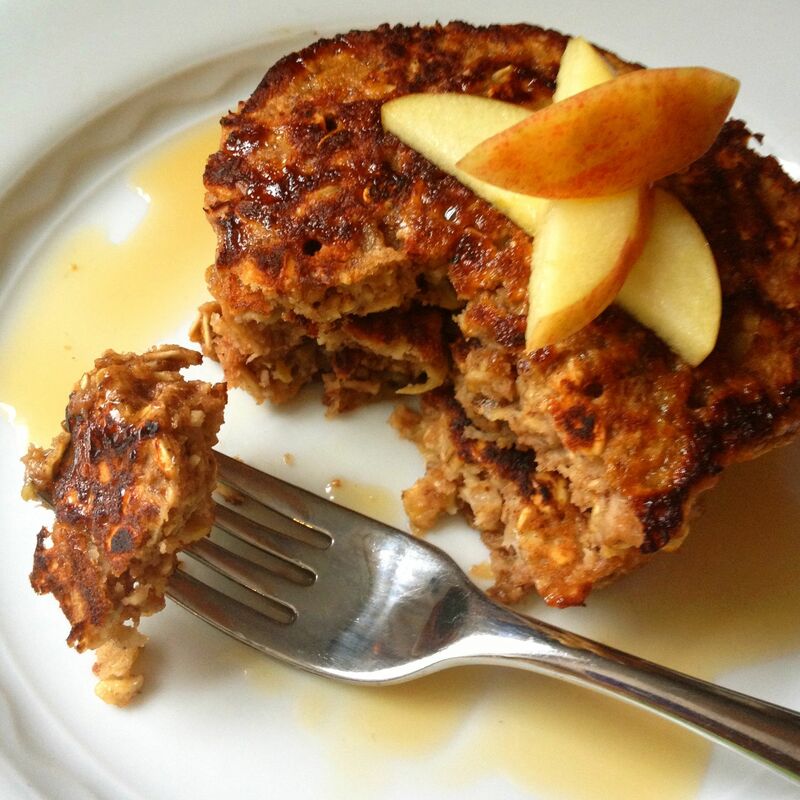 Apple cinnamon oatmeal protein pancakes. perfect for the fall! Another trick? Bananas and apples are a natural source of sugar that not only sweeten the pancakes but also add vitamins, minerals and dietary fiber not found in white sugar. The riper the banana, the less syrup you’ll need. 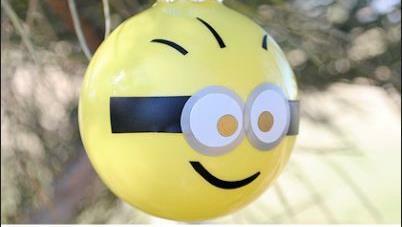 Head over to The Lemon Bowl. 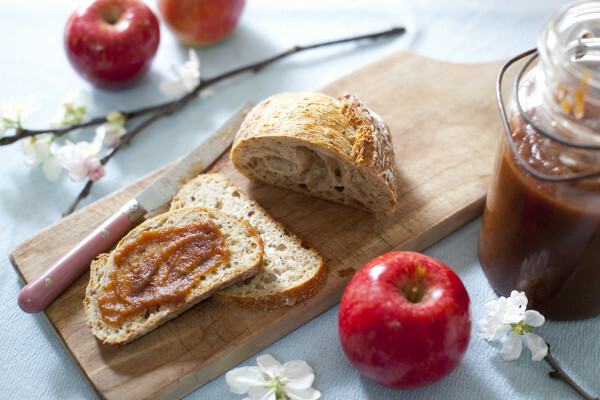 One of my most popular recipes on the website is my homemade apple butter. It’s apple butter like grandma used to make and everyone who makes it or tries it sings its praises. 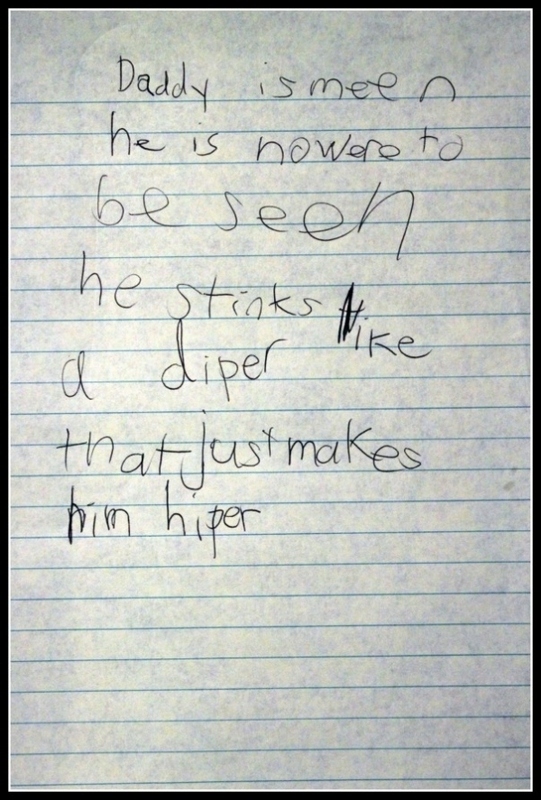 But I have a confession to make. I’ve changed the recipe slightly! I came up with that recipe several years ago when I was still using white sugar, which I’ve now pretty much eliminated from our diets. Now, if I add any sugar at all to apple butter, it’s all natural sucanat. But if my apples are sweet enough, I skip it all together! Head over to Eating Richly for this delicious recipe!